Headed to the high country and Vail? If so, don’t miss these three great breweries . 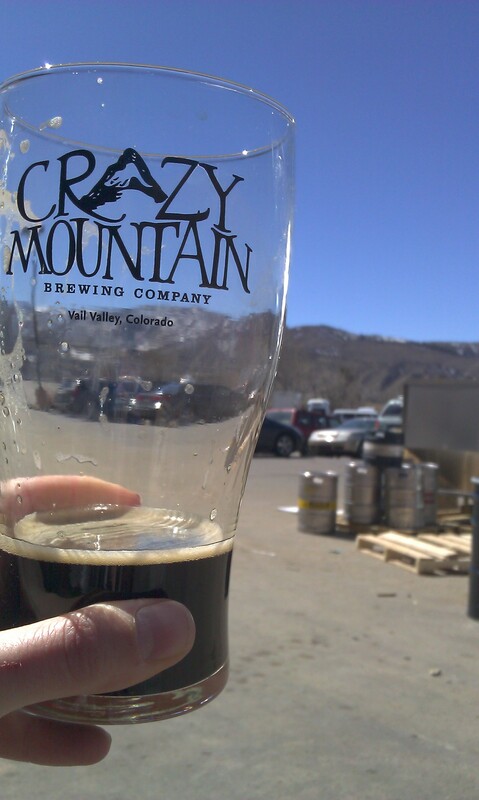 . . Start in Edwards at Crazy Mountain Brewing where you will find locals hanging out after a long day of mountain biking and riding the slopes. Try the Lawyers, Guns and Money Barleywine (a unique and somewhat hoppy twist on this style), and look for their Wit and Pale Ale in cans, (also available in Denver). This is a brewery on the move, already having expanded since our first visit last year. While they brew batches of a set menu pretty regularly, they seem to be always trying out new styles. That’s wonderful for us, every time we stop there’s something new to taste, and a familiar pint to enjoy with a picnic dinner at the beautiful outside tables. The horse shoe pits also make for a nice distraction from the I70 drive that awaits, and gives your designated driver something to do. Out of all the places to stop on the I70 Corridor, getting to Crazy is a must. 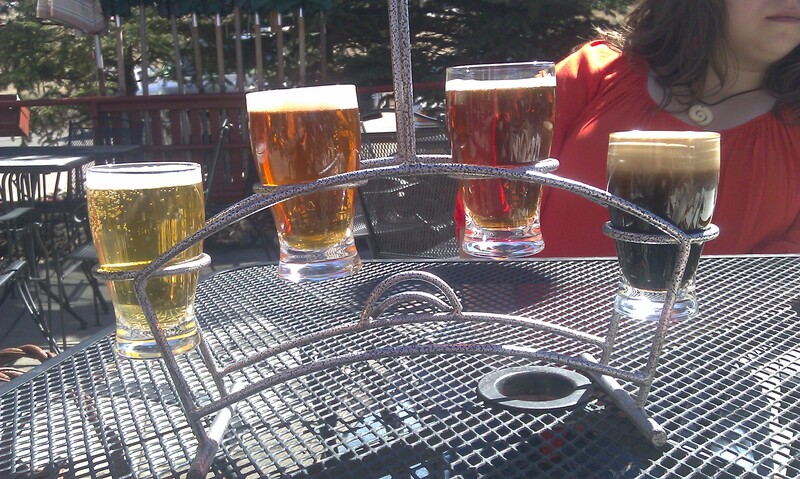 Then head about 1 mile farther into Edwards to Gore Range Brewery where you can grab a cold beer and some BBQ. There’s really nothing better than food that goes well with beer, and BBQ goes with this beer the best. If you don’t want to bring your own picnic to Cray Mountain or Bonfire, this is the spot to have a meal. Also, their back patio is simply lovely during the warm spring and summer months. Last, but certainly not least, is the newest addition to the Vail Valley, Bonfire Brewing just west of Edwards in Eagle, Colorado. At this eclectic brewery you’ll find foosball and shuffle board to accompany the great beers on tap, along with another delightful patio with views and fire pits to keep you warm. 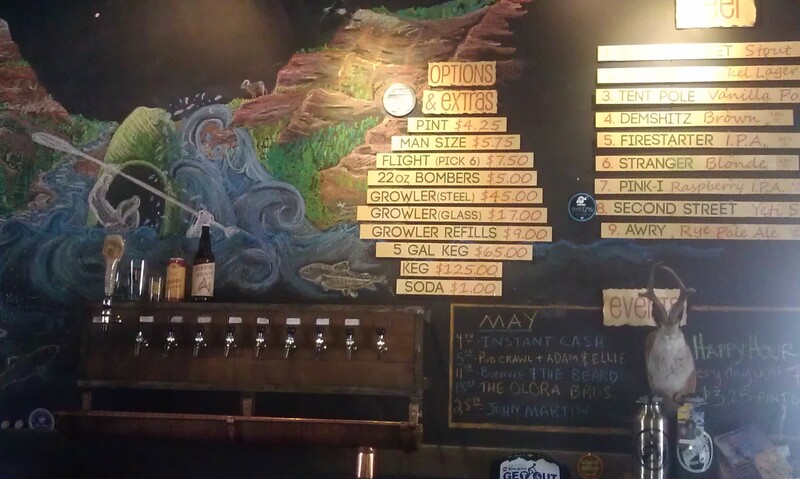 And you might even run into local brewers from Crazy Mountain imbibing at the bar. Be sure to try the Firestarter IPA, Awry Rye Pale, or Dark Dog India Black, and if they’ve recently tapped something new, indulge, they’re experimental batches are delicious and disappear fast. Whatever you do, don’t leave without playing a game of shuffle board. With beer-in-hand, this is a bar game of times immemorial, a moment of zen in an otherwise crazy universe.